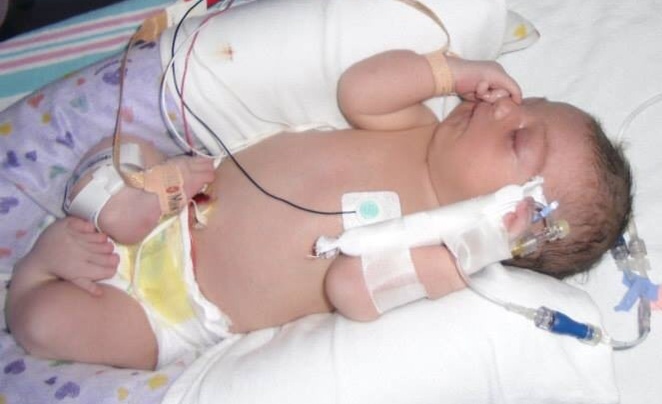 Baylee was born Oct 23 2012 with CHARGE Syndrome. Charge Syndrome is very rare. It is caused by a genetic anomaly. Complex congenital heart disease-double outlet right ventricle with D-malposed great arteries, large inlet VSD with membranous extension, left pulmonary artery hypoplasia with history of severe pulmonary stenosis and right bundle branch block. Baylee had surgery on her legs in Virginia. We were told many times that her legs would have to be amputated. I found a support group on social media and found out about Dr. Paley. I was desperate to get the best care available for Baylee. I contacted The Paley Institute and sent records, op notes, and x-rays to Dr. Paley. He told us that she has 2 options, to start all over or amputate her legs. I made a consultation appointment and waited anxiously to meet him. 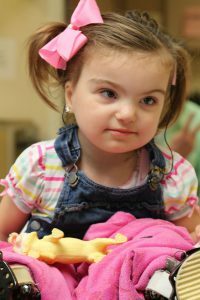 At her consultation we found out that Baylee was born with dislocated hips in addition to bilateral tibial hemimelia. Dr. Paley said we would have to start with her hips before moving on to her legs. He told us that he could in fact reconstruct her legs and she would be able to walk one day. We started the process of correcting her legs in Sept of 2014. She had hip surgery to start with and then she was scheduled to start the lengthening process. Baylee has had 7 total surgeries with Dr. Paley. 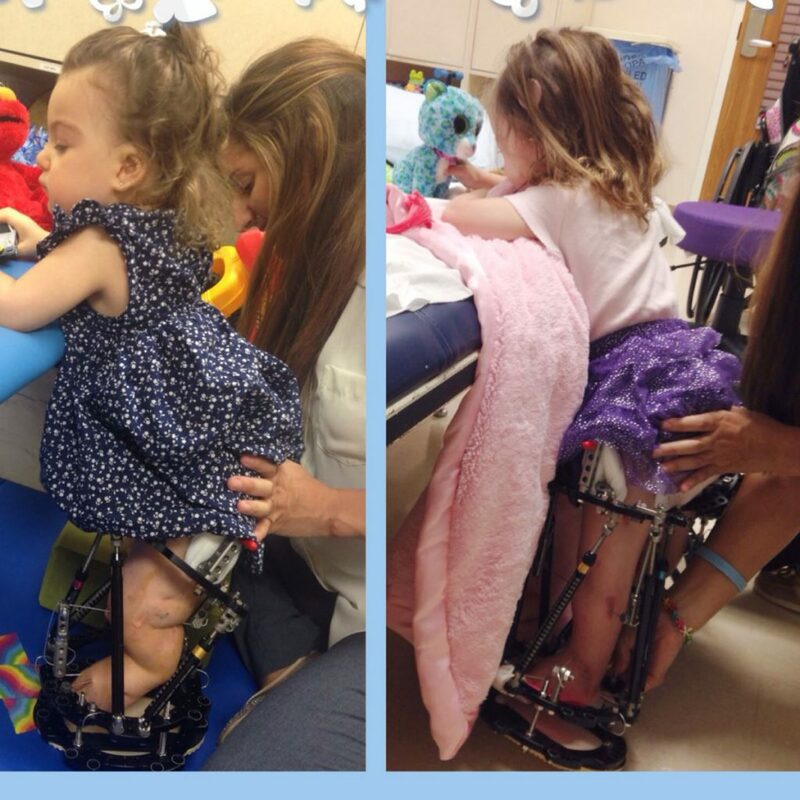 Four days after her first lengthening surgery she was standing up for the first time ever. We are forever grateful to Dr. Paley. He and his staff are amazing. Dr. Paley has given Baylee the gift of her own legs. She will walk one day . The entire staff from the front desk to the PT staff are the most amazing people . Everyone makes you feel welcome and will always help you no matter what. Baylee in therapy at the start of treatment (left) and near the end of treatment (right). The Paley Institute is a place where miracles are made. When you feel you have no hope, they will give you hope. It is a hard process, but it is worth every single tear. When we saw our sweet Baylee stand up for the first time at age 2 we knew it was worth whatever we had to go through to have her legs reconstructed. Even during the times that we were able to go home in between her treatments we missed the staff. We became close to them and they became our family. There are not enough words to express the gratitude we have for Dr Paley and his staff. Baylee is a true miracle. She has surpassed all of the doctors' expectations and she smiles every day. We are fighting for her. She touches everyone she comes in contact with and is a blessing.